Air conditioners have become a huge part of our lives. There is hardly any home in California that would be able to survive in hot temperatures without an AC system. There is nothing worse than breaking of your AC unit in an unbearable heat. Consequently your AC system needs regular check-ups and cleaning to run at its optimum efficiency. When inspecting your AC unit, take a closer look at it and you will notice a small dripping line on the outside part of it. This line, also known as condensate drain, plays a major role in removing condensation generated by your AC’s evaporator coil. If you fail to clean this condensate drain regularly, you’ll have mold spreading inside and clogging the drain. The result of AC drain clog would be high humidity levels at your home, nasty odors and water damage. For some reason this part of the AC system is often ignored during routine AC maintenance by HVAC technicians. Not so with Orange County Plumbing Heating & Air Conditioning – we have been in plumbing business for over 50 years and know how to deal with even the most hopeless plumbing issues. Do not wait for your AC drain line to get clogged – take preventative measures, inspecting and cleaning the condensate pan and drain line before a serious problem develops. It might be a daunting task for a DIY project, so don’t take chances and call our company. Our AC technicians will clean the drain line efficiently, removing all clogs and preventing mold from growing. A proven track record and a reputation for quality work throughout OC makes Orange County Plumbing Heating & Air Conditioning an exclusive company, standing by our work with a 100% satisfaction guarantee on our AC cleaning and unclogging services. 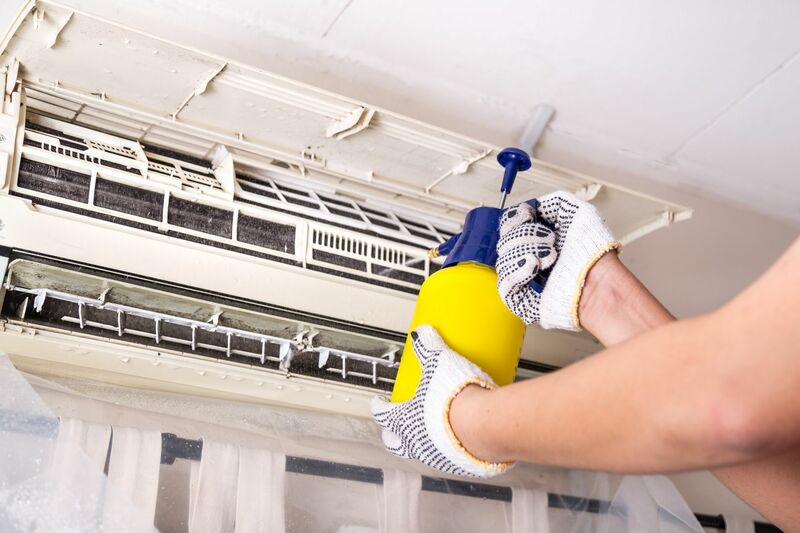 With Orange County Plumbing Heating & Air Conditioning you can rest assured that your AC cleaning services will be carried out by the leading HVAC company in California.